So, you and your spouse have decided that ending your relationship is the best course of action to take in order to eliminate the problems that you’ve been having. If you’re honest with yourselves, you’ve probably anticipated this for a little while now. And, as difficult as it may be to end your marriage, continuing to remain in the relationship as-is may be even more detrimental to you both. If this is you, know that you’re not alone. Everyday, couples from all over the country must grapple with these difficult decisions for their own relationships. If you know that your marriage is over, but aren’t sure what your resolution should actually be, here’s a break down of what your legal options would actually be. It’s important that you make the decision that is truly works best for you and your life’s specific circumstances. And, the best way to ensure that you make the right choice is to start off by having all of the information in front of you. Separation: A legal separation means that you and your spouse are still technically married, but not living together anymore. You may opt for a trial separation if there is a possibility of restoring your marriage, or you may choose a permanent separation as a staging period before divorce. You and your spouse will divide up your property, make child custody arrangements, and maintain separate finances. Eventually, if you get a divorce, these arrangements would usually carry over into your divorce agreement. Divorce: Basically, a getting a divorce means that you’re ending your marriage before your spouse dies. In Ohio, there are many different reasons you could file for divorce from your spouse, but they all fall under the two categories of fault-based (one spouse’s actions led to the divorce) and no-fault divorce (also known as incompatibility or irreconcilable differences). You and your spouse will divide up all of your assets, split up your debts accordingly, and make child custody arrangements as necessary. Dissolution: Dissolution of marriage is an option you and your spouse may choose if you can mutually agree on every aspect of your marriage’s end. This resolution may be an ideal option for you because it typically is a much quicker and less expensive process than a standard divorce. Obtaining a dissolution of marriage is usually not an adversarial process, allowing you and your spouse to part ways in a peaceful manner. All you will need is for the court to approve your decision and then you can both return to your individual lives. Annulment: Your last option for ending your marriage is to get an annulment. This may or may not be a viable option for you, so you may need to obtain some legal counsel to determine if you would even qualify. 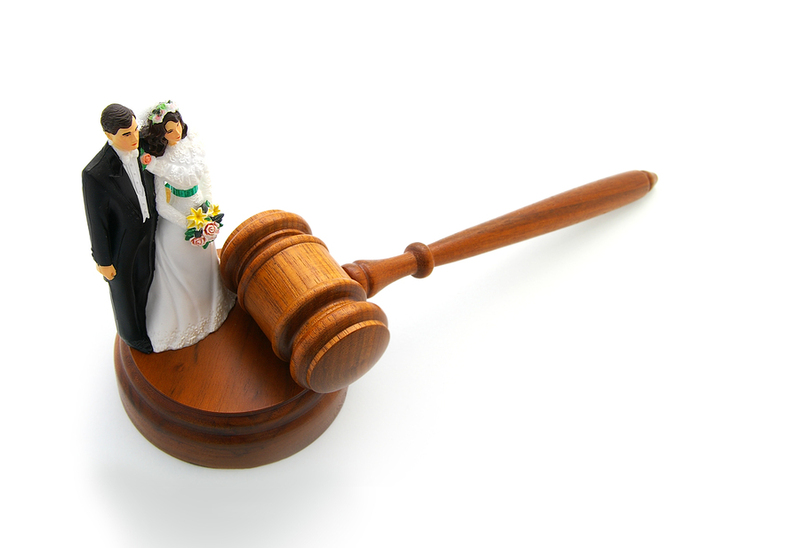 An annulment is a legal decree that your marriage is null and void. It treats your marriage as if it never even happened. In order to obtain an annulment, you must be able to prove that there was a defect in the marriage, one party was mentally incompetent, fraud was used as a means for getting married, there was a failure to consummate the marriage, or one spouse was also married to another person at the time of the marriage. No matter what option you choose, it’s important to make sure you are able to reach a resolution that protects your legal rights and allows you to obtain the best possible outcome for your marriage’s end. The most effective way to do this is to have a divorce attorney representing you throughout the process. To learn more about your options during a divorce, and which resolution will work best for you and your spouse, contact Michael E. Bryant, Attorney at Law today. One simple phone call to 419-243-3922 could be the first step in beginning your new life after ending your marriage.